Located across Providence Road from the prestigious Myers Park neighborhood in southeast Charlotte, Eastover is one of the Queen City’s most attractive historic neighborhoods. Primarily residential in character, Eastover has long been known for its grand stately homes, many of which have belonged to some of Charlotte’s most prominent historical figures. The neighborhood’s gently rolling hillsides slope down toward Briar Creek. Its tree-lined streets provide an idyllic setting for its many luxurious properties and spacious single-family homes. Famed urban planner Earle Sumner Draper was involved in designing the neighborhood’s early development. A walk through Eastover’s attractive streets and curving drives will quickly confirm why Draper has been called the South’s greatest urban planner. 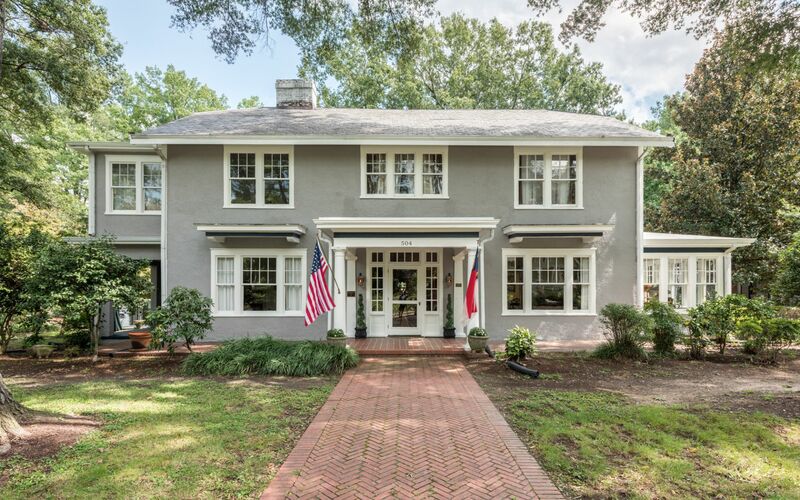 Much of the neighborhood’s historic appeal stems from the Prohibition area, when Eastover became a favored home of many of Charlotte’s most influential businessmen. Eastover exudes a magnificent sense of Old-World grandeur, while its central location ensures it enjoys the very best of modern Charlotte’s metropolitan amenities. Eastover has been described by Thrillist as one of the South’s most beautiful neighborhoods, an accolade any visitor will be quick to agree with. Eastover’s refined architecture includes many historic red-brick Georgian Revival properties boasting immense curb appeal, along with some charming Tudor Revival homes. There are also some newer properties, with one-story Ranch-style homes and two-story single-family residences primarily clustered along Twiford Drive and sections of Hempstead Place and Museum Drive. With most of Eastover’s development occurring in the early 20th Century, this was the first Charlotte neighborhood to feature homes with car-accommodating driveways. Despite its peaceful residential character, Eastover’s central location makes it easy to access other areas of Charlotte, with countless parks, shops, and restaurants within walking distance. Uptown is located just northwest of the neighborhood, putting residents in easy reach of an near-endless array of top-quality shops and restaurants. The internationally-renowned Mint Art Museum is located within the neighborhood, along with quaint local shops such as Circa Interiors, The Buttercup, and Windsor Hall Antiques. The extravagant Tudor Revival Reynolds-Gourmajenko House is also located nearby. This beautiful setting is home to some of Charlotte’s finest restaurants. Stagioni is an upscale restaurant which puts a seasonal twist on a delectable selection of authentic Italian dishes. RuRu’s is also highly recommended, fusing authentic Mexican food offering a classy environment, however, not too fancy. Other restaurants within the community run the gamut from authentic international cuisine to high-quality twists on typical Southern fare. With an immense variety of eateries to choose from, Eastover is sure to provide something to delight every diner.